The second expansion for city-building and management game Cities: Skylines has been announced. Titled “Snowfall,” the expansion is due for release later this year across PC and Mac, and as you might have guessed, its central theme is wintry weather. “The difficulty heats up when the city cools down,” publisher Paradox Interactive said in a news release today. A weather system for Cities: Skylines (which also adds rain and fog) will be introduced for all players as part of a free update. This patch will also include “other features” that will be announced soon. 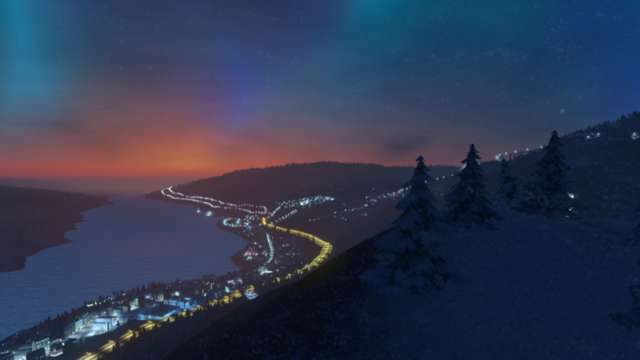 Snowfall will challenge players to keep their city and its infrastructure running smoothly when the temperature drops and the snow comes down. This includes ensuring your city has the resources to manage heating demands and enough snow plows to keep the roads clear. Cities: Skylines’ first expansion was After Dark, which released last year, introducing a day/night cycle. For more on that expansion, you can check out GameSpot’s review. For a closer look at Snowfall, check out the video above and some images in the gallery below. A price point for Snowfall was not announced, though After Dark went for $15. Cities Skylines debuted on PC in 2015 and was a quick success, selling more than 1 million units in its first month alone. Those sales figures surprised even its developer, which has pledged new free and paid content for the game that continues to have a robust modding community. The game is also coming to Xbox One, where it will make its console debut, though a release date has not been announced.